You want to be able to find what you need when you need it. So, you’ll need to come up with a system of organization for the files in your home office. Fortunately, the hardest part is getting started and it won’t take you long to implement these changes. If you work from home, your home office is where you’ll keep track of all your business-related communication. You may even keep your important family-related or medical documents in your office for safe keeping. But without a system for keeping them in order, it’s only a matter of time before you’re surrounded by clutter. As soon as your office is more put-together, it will be much easier to keep it organized. Follow the tips below for a more efficient process of organizing your home office filing system. It’s too easy to allow various papers to create piles in your office when you use so much paper. You’ll have far fewer documents cluttering your workspace if you stop using as much paper in the first place. Going paperless in your office may sound nearly impossible, but you can start making positive changes in this direction today. Sort the documents according to what you can toss, what you need to shred for security reasons, and what you should convert to digital. Then, you can begin phasing out bills that you can choose to receive by email instead and look for other ways to cut down on paper usage. You’ll end up saving money from the paper and printer ink, plus you’ll have fewer documents to keep track of. Everything should have its rightful place in your office, including mail, receipts, and contract copies. You can create a system of organization by designating a filing cabinet to keep all of these items in. Next, choose a receptacle to use as your inbox to keep letters, assignments, and other mail that needs your attention. You can also create an outbox to put items that you still need to file or mail out. You’ll also want to get a paper shredder, wastebasket, and a container for recycling. Having these two boxes in order will help immensely with reducing paper clutter. A label maker can be a great addition to your home office filing system. If you keep binders in your office for work-related documents, you can label the sides of them for easier sorting and retrieval. You may also use your label maker to create labels for the inbox and outbox I described in the previous section. 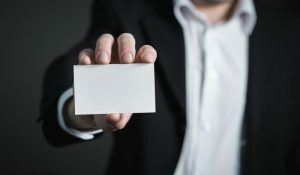 If you go to many conferences or meet with clients a lot, you might have a large buildup of business cards by now. You might consider a specific tool that keeps your business cards organized and ready to reference at any time. A business card binder or Rolodex can work for this task. You can find dividers and file folders in many colors that help you with staying organized. When you want to color code your files, keep it as simple as possible. Separate your home and business files if you have a lot of either one. Designate colors for each category so that you’ll remember them. People usually separate their files into categories like home, family, financial, and medical. But you can separate your files into any system that makes sense to you. You might, for example, keep separate files for receipts or tax-related information. Assign a color to each category and spend a little time memorizing them. Then you’re ready to use your new color-coding system. The way you have your office machines, like your paper shredder and printer, arranged will impact the clutter you collect (or don’t). Try to put the paper-related machines, like your scanner, all next to each other. Then put a trash can next to the area, so you can immediately toss out what you no longer need. This will help prevent the paper from accumulating in your office and causing a mess. Plus, taking these machines off your desk will give you more room to work. Reduce your stress by keeping your office organized. If you’re working with a tiny office space, you need all the extra room you can get. 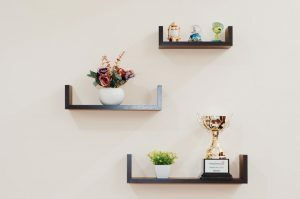 Consider installing shelves near your desk to keep spare items. That way, what you need will still be within reach and you’ll have more space at your work desk. Another way to create more room on your desk is to organize your drawers and make room in them. Then you can move the items from your desktop to your drawers and create more elbow room for yourself. Having a less cluttered desk means a less cluttered mind and more focus while you work. It also makes your office appear much more professional if you have the type of job where clients visit you at your office. If you’re using an old desk, it may not have optimal storage capabilities. Consider switching to a standing desk with extra room for your office items. This type of desk also comes with the benefit of being healthier during your workday. If you decide to switch to using only a standing desk, you can also get rid of your office chair for even more extra space. Books can take up a lot of valuable desk or bookshelf space in your office. It’s time to sort yours out by author, genre, or size (whatever works best for you) and get them organized. Once you begin going through them, you’ll probably realize you have a lot of books you won’t ever read. Give away the ones you don’t want to charity, then put the rest in alphabetical order. Once you have invested the time into purging unneeded clutter and organizing your files, keep things organized going forward. It’s easier to spend a little time each day organizing and keeping things in their place, rather than letting the clutter get out of hand. Here’s an article with more info on maintaining a clutter-free desk. Ready for a New, De-Cluttered Office Setup? Getting your files and office, as a whole, organized can dramatically shift the way you work throughout the day. While you may not always consciously notice the stress of being in a cluttered environment, it does impact you subconsciously. A clutter-free environment will help you stay on task and think more clearly.